Non-manufacturing industry accounted for about 70 percent of Japan’s total investment capital in Vietnam in recent years. Especially, the growth rate of the industry was higher than that of manufacturing. Vietnam, which is considered one of the attractive consumption markets in the region with a population of some 100 million people, is luring foreign investors, including Japanese. Like China 10 years ago, incomes of Vietnamese consumers are getting higher and they are also spending more on consumption. According to the survey, local authorities still lack prior research on legal content and delay in issuing documents to guide the implementation of laws, which cause adverse impacts on investors’ works and inconsistency in the laws and execution. In addition, Vietnam’s tax regime, such as personal income tax, transfer pricing and value-added tax (VAT) invoice, remains complicated and inconsistent. Prime Minister Nguyen Xuan Phuc encouraged the United Arab Emirates’ (UAE) Investment Corporation of Dubai to expand investment in Vietnam, while hosting the group’s Executive Director and CEO Mohammed Ibrahim Al Shaibani in Hanoi on March 25. 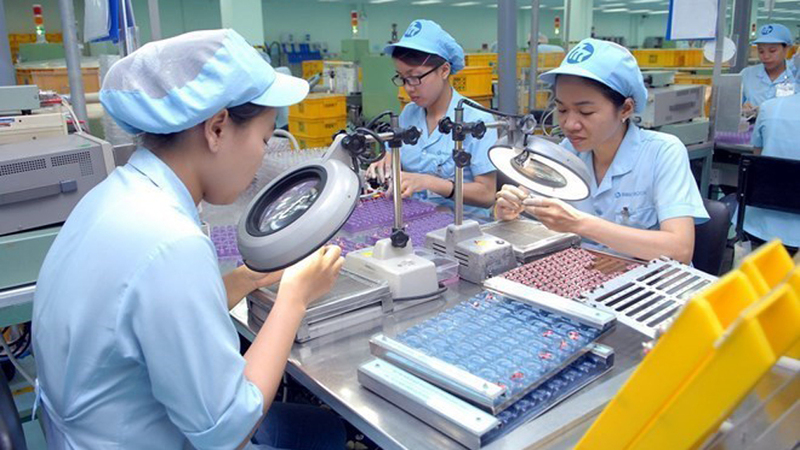 (BGO) - In March 2019, the northern province of Bac Giang attracted 19 million USD of investment capital including 3 new domestic projects valued at 48 billion VND (2.1million USD) and 3 foreign direct investment (FDI) projects with the registered capital of 5.2 million USD while giving a nod to increasing the capital for 4 FDI projects by 11.7 million USD. (BGO) - Chairman of the provincial People’s Committee of Bac Giang province Nguyen Van Linh chaired the monthly meeting on 20 March.